Most people who know me know that I have a bit of a thing about books, photography books in particular. I’ve accumulated about four Ikea Billy bookshelves full of landscape photography related books and new ones get added on a regular basis. However, many of the books just aren’t that great (although they may contribute something to my understanding). Finding a book that combines inspiring photography with a ‘journey’ of some sort is uncommon. So I'm always on the lookout for a book with something extra. When I spoke to Alex Nail about his work a few years back, he kept saying “Oh I’ve kept a few photos back for the future”. I hoped then that he might be planning a book and given the quality of the pictures he wasn’t holding back, I had a strong feeling that it was going to be a “good ‘un”. I’ve known Alex Nail for a while now, I can’t remember when we first met but it was probably sometime after I started seeing his amazing Dartmoor sunrises in around 2010. We included Alex as Featured Photographer in 2011 and he also wrote an article about the weather which featured the North West of Scotland from what was only his second visit to Assynt and included three images that would make their way into the book. What stood out in our first chats about photography was Alex’s passion and commitment to landscape photography. Anything he considered doing was done to the Nth degree. Camping was planned to the gram, walks and viewpoints assessed in advance with software and research to create the best opportunities. His own ‘code of ethics’ on what was ‘right’ verged on obsessive. We would talk for hours about the edges of honesty and manipulation. Every year, whenever it came round to competition results, there would be the inevitable dissection of who was stretching things a bit far, why this or that cliche was a crutch, how social media was changing people’s opinions on what true photography was. It’s true that Alex has calmed down a bit since those days but he still has a fire for the ‘right thing’, as evidenced by a recent debate hosted on the “F-Stop Collaborate and Listen” podcast with Erin Babnik. While some of these conversations might seem to some as ‘inane’ or pointless, they are the surface evidence of a deep thoughtfulness about photography and one only needs to look through the book to see the evidence of this deep self-consistency in his work. Behind the scenes, though, Alex was building a portfolio of images ready for “something”. I’m not sure when this something really took shape, I’m imagining it must have been around four or five years ago, but it must have been compelling to have such a large number of pictures from one area and to think “what can I do with these?” Alex has told me that one of his inspirations was Joe Cornish’s “Scotland’s Mountains” which sets such a high target for quality. From this point on, Alex started “keeping back” some of his best pictures from each trip. I can’t imagine this was easy but it’s fair to say that he wasn’t short of great images to post on social media regardless. Alex has told me that one of the things that set “Scotland’s Mountains” apart from other mountain photography books was its sense of narrative and the way it immersed you in the experience of the mountains. Some of the classic mountain books can be a little formulaic - get to the top of the mountain for dawn/dusk and shoot a pano. Alex wanted his book to have some of this sense of the adventure and experience of the land. I have to admit to having a sneaky preview of the book before most other people. Alex and I have been chatting about the printing and books for a while and when it came time for Alex to create this book, I was happy to help where I could. Unfortunately, Alex’s first trip to the printers was a disaster. The printer company itself did a fantastic job but the paper that was used had a serious manufacturing problem and the whole print run had to be scrapped. Fortunately, this was actually the best thing that could have happened. You see, when you go to a printer, you typically get three different standards of proofs for your images. The first is a digital proof, which is just a digital file showing how the ink and paper might affect your images. This is something you can do yourself in Photoshop if you have the printer and paper profiles etc. The next level of proof is an inkjet proof. This is a high-end simulation of what should happen on the press, printed on a calibrated inkjet printer. The most advanced simulation though is a ‘wet proof’, where an actual metal plate is made from your image file and the image printed on the press itself just as it would be in the final production. However, wet proofs are onerously expensive and in some cases people might have one or two done but most people just skip them completely. However, if you really want to know what the result will look like, this is the only real way to go. Alex’s luck is that through this failed print run, he had wet proofs of a large number of photographs in his book. Alex used this opportunity to ‘remaster’ all of his prints based on these 'proofs', fixing some of the colour casts, opening up and desaturating the shadows a little and making some local tweaks here and there, especially to the blues - one of the more challenging colours in CMYK printing. Fortunately, on the second run of printing, things came together and the final result was significantly improved because of this delay. Although I’d seen all of the images in the book while sitting with Alex at my house, whilst doing final checks between the two print runs, it’s not the same as getting the final printed copy in your hands. All of Alex’s worries about the quality of both the print and the work itself could now be put behind him, the result meets all expectations. There are two aspects to the binding that are important. Firstly, there is the way that the cover wraps the book and secondly is the tension and quality of the binding of the folios (the groups of pages within the book) and stitching of the spine itself. The cover of the book is really the chance to make a first impression and Alex’s choice of a classic cloth hardbound presentation with subtle, embossed gold titling creates an expectation of classic, understated quality. The binding of the folios and spine can, quite literally, make or break a book and whoever bound this book (I believe it was Deanprint in Manchester) did a brilliant job. The book almost lays flat naturally without having to ‘crunch’ the binding but the tension still holds the spine shape after a good browse. I’ve written extensively about print screening and quality before now and have compared many books to get an idea of what constitutes quality and Alex’s book is about as good as it gets without esoteric approaches. There is no annoying textures in high key skies, no pooling of ink in deep shadows, no halo sharpening, etc. The print just does what it’s supposed to do, get out of the way and let you enjoy the pictures. To really enjoy a book, I like to spend my time and read it cover to cover. I’m normally too impatient to manage this on the first or second glance and so for this review, I went back, found a well-lit armchair and let an hour slip by, allowing myself to be (hopefully) carried away to the North West. For as much as Alex says that it is the literal representation of the landscape he favours, he does have a way of framing, a consistent interest in mountain shape and curve and a restraint that has it’s own character. My hour passed in a blizzard of Highland scenery, each an individual gem but together creating a very personal view of the area. For as much as Alex says that it is the literal representation of the landscape he favours, without forced foreground interest and with processing done so well that they don’t look processed at all, he does have a way of framing, a consistent interest in mountain shape and curve and a restraint that has it’s own character. I have quite a few mountain books on my bookshelf, from landscapes of a much greater stature than our ‘mediocre’ peaks, but few of them have a consistency like this. Then again, a series of great mountain images can become tiring, even the best of them, so it’s good to have changes in rhythm throughout. Alex’s stories about his encounters in the hills provide just this, giving some idea of trials and tribulations, as well as the pleasures, of his journey. You don’t get bonus points for difficulty in landscape photography but this narrative certainly gives some hints that these are far from your typical roadside encounters. What struck me while looking through these images and through reading about his adventures is best represented by his choice of ‘Guest’ for the introduction to the book. Instead of a landscape photography luminary or a magazine editor or gallery owner, Alex asked Chris Townsend, someone you probably won’t have heard of unless you’re a dedicated walker or mountaineer. You see, Chris is a professional wanderer; a man of the mountains; an adventurer, just like Alex. Alex makes this point halfway through the book where he states that, at the start of his adventures he saw himself as a photographer first and the backpacking merely as a supporting role. Now he considers the two equals, he is a “member of both tribes” as he puts it. David Clapp reviewed the book last week and did a lot more eloquent job than I have. He pointed out something that many people forget. The vast majority of people who start landscape photography have dnoe so out of a love of the classic landscape photograph. They were inspired by the likes of Joe, Colin and David’s depictions of sublime landscapes and it's unlikely that they weren't blown away by some of their depictions of our Northerly mountains. Many of them probably did their best to create their own, similar depictions but most realised very quickly just how difficult it is, not just in photographic terms but in the persistence and energy required to consistently create them. 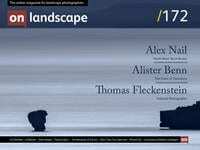 Alex has taken those difficulties, both photographic and strategic, and revelled in them and in doing so produced the first in what I am sure will be a series of classic landscape photography books that will, in turn, inspire more photographers. I can highly recommend this book to any photographer who has ever expressed an interest in mountain photography and I can also strongly recommend it to anyone, photographer or not, who takes pleasure walking our islands unique hills and valleys. You can buy Alex's book direct from his website for £36.